Get massive savings with exclusive Image Blog Auto Poster WordPress Bundle! Explore it and benefit from it now! Image Blog Auto Poster WordPress Bundle by CodeRevolution is a powerful collection of WordPress plugins that post FROM image hosting websites like Imgur, Giphy and Pixabay. With this item, you benefit from a unique discount (each plugin, on it’s own costs 19$)! 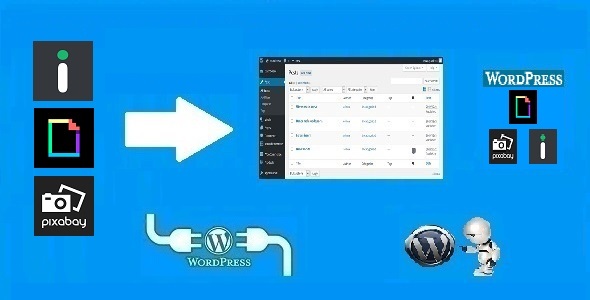 Note that I will also add future WordPress plugins that fit in this category to this bundle and if you buy it now, you will have also access to all my future work in this category (automatic posting from image hosting websites) without any future fees! If you already bought this and you have tried it out, please contact me in the item’s comment section and give me feedback, so I can make it a better item! All plugins are WordPress 4.9 Tested!